Welcome to Day #3 of Chocolates in Toyland Theme Week, where I scout out possible chocolate holiday gifts. 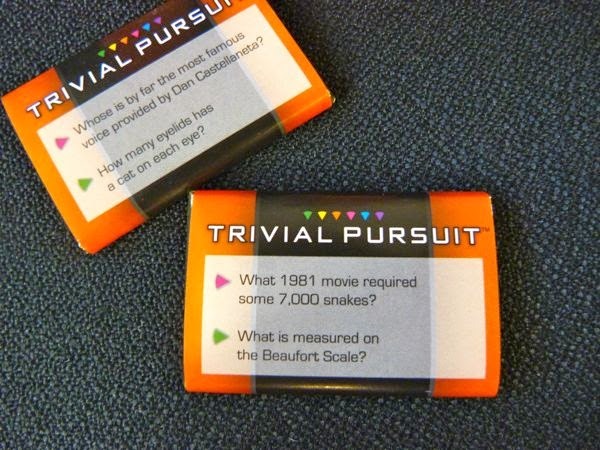 These chocsimiles* of Trivial Pursuit cards include actual trivia questions (with answers on the flip side). And, after everyone is familiar with the questions, and you grow bored with them, you can eat them. Very practical. 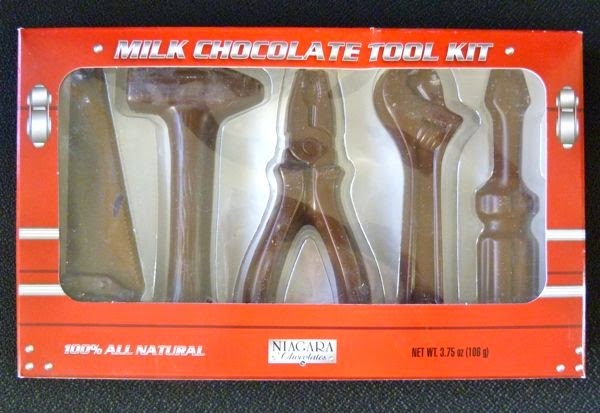 This Milk Chocolate Tool Kit made by Niagara Chocolates (Cheektowaga, NY), a SweetWorks Company (Buffalo, NY). 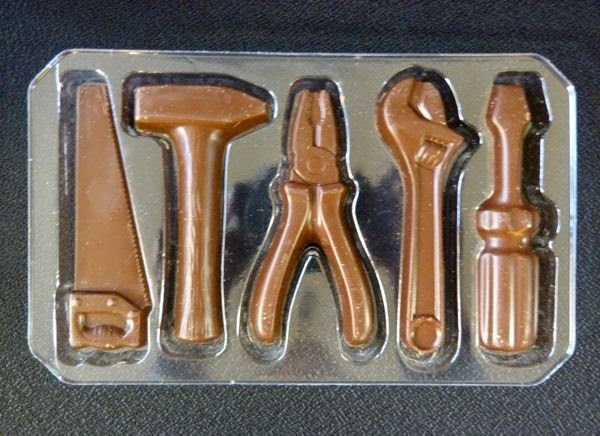 included a milk chocolate hammer, saw, screwdriver, wrench and pliers. I tried the milk chocolate saw. Most popular commercial milk chocolates are fairly sweet with a consistent chocolate or chocolatey flavor; I would say this about both today's chocolates. 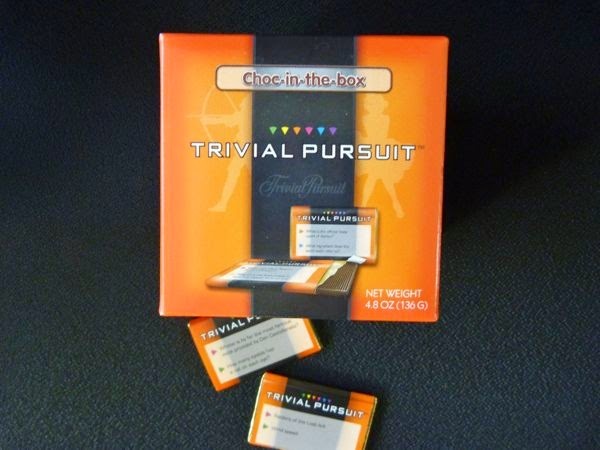 Fun replicas and clever package design are the primary attributes with almost all chocolate games and toys I've found so far. *Chocsimiles are chocolate facsimiles of people, animals, places or things.